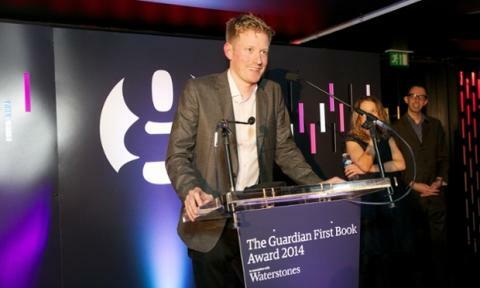 Last Wednesday, Colin Barrett won the Guardian first book award for his wonderful debut collection, Young Skins. Previous winners of the award include Zadie Smith and Davy Byrnes 2014 Short Story judge, Yiyun Li. This is the third major prize that Colin has picked up in as many months, having won the Frank O’Connor International Short Prize and the Rooney Prize for Irish Literature – and we’re absolutely delighted that Colin and the book are receiving the plaudits they duly deserve. Congratulations, Colin! You can read all about the prize (and listen to a podcast recorded on the night, which includes a reading from Colin) over at The Guardian.